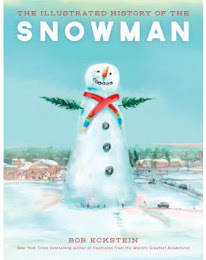 Reports from around the web of some very large snowmen that have been cropping up. 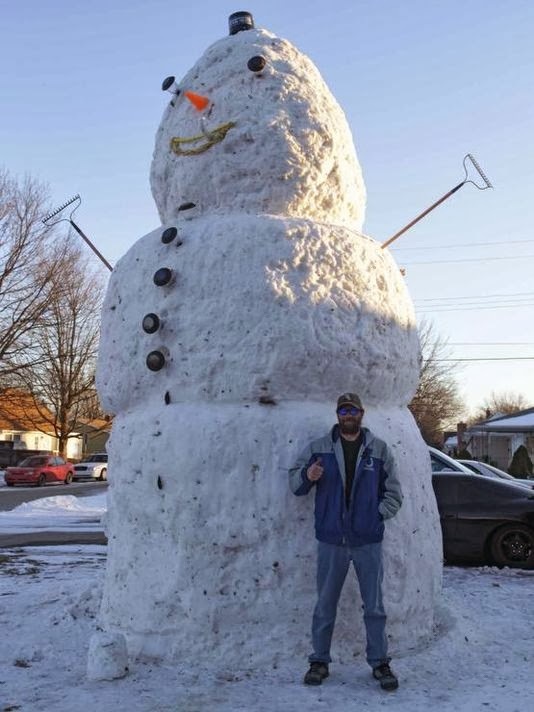 In Indianopolis, there is the 18 foot "Speedway Brother's Snowman"
In a residential neighborhood just blocks west of Indianapolis Motor Speedway, the snow towers 18 feet above the home of Alan and Eric Burke. Notice the parking cone for the nose! More about this snowman can be read at the Indystar.com website. In Chester County, outside of Philadelphia, this 15 footer was created by James Weaver, owner of Weaver’s Mulch Company in Coatesville. 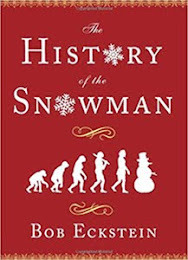 After working for three hours, this snowman was finished. The final touch was the unusual scarf that was made from an empty Filtrexx filter sock (that you put a mulch product in it for erosion control). ...and for Throwback Thursday, Greetings from Morton Grove in 1957, home of Mrs. Hubbard Sundborg - shown here with her 9 foot snowman.